← Shocking! Cap & Trade Eviscerated by Climate Religion Guru James Hansen! Sea Level Rise Has Slowed 34% Over The Last Decade! Yes all you nervous warmers who think that man-made computer scenarios are proof positive of man-made global warming, it appears they’re not proof of anything except garbage in = garbage out. They’re models, fantasies, scenarios and certainly no real proof of anything but wishful thinking by some so-called climatologists. Remember this the next time you hear about how some islands in the Pacific Ocean, like Nauru or the Maldives, are going to be flooded over by man-made CO2 caused sea-level rise. According to real data, it appears they aren’t and won’t. Remember this next time you read claims about beaches on both coasts of the United States that will soon be flooded and how millions or billions of dollars are needed to mitigate sea-level rise. It’s another government money grab. Based upon the actual data, (real data and not glorified computer games), the predictions made by computer models don’t even equate to what’s actually happened the previous 20 years. In other words, those computer models everyone claims you can take to the bank are wrong. Another reality is that even though the CO2 levels are rising and approaching 400 ppm, sea-level rise is slowing and not accelerating as some claim is happening. 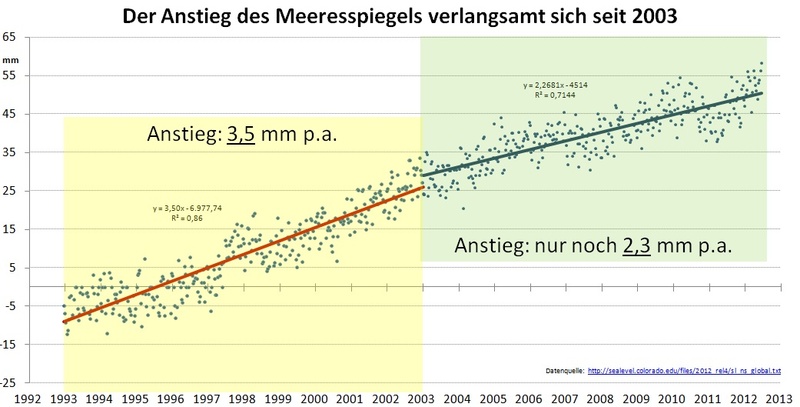 The causation of rising CO2 levels obviously do not correlate to accelerating sea-level rise. We suggest you read the entire article at the source below. I’ll you one reason I don’t believe any of it — is that I don;t believe most of Warmingologists believe it themselves. You take a drive down Cape Cod way, summer Ground Zero of Limousine Liberalism, and check out the bumper stickers on the Volvos and Mercedes parked in the imported gravel driveways of the megamillion waterfront estates. They all think it’s real — except — none of them are abandoning their doomed property. If they REALLY believed it, and that we’re past the tipping point and the polar bears are drowning and all that claptrap — why aren’t they dumping all that waterfront property? Surely it’s going to be underwater in a few years? And worthless? Here’s a deal, all you Warmingologists: right now, I will sign a contract to buy your property, or whatever is left of it, ten years from today, for ten cents on the dollar of its current value. If it’s underwater by then, you wouldn’t even have anything to sell! And if it’s awash, it’ll most likely be protected wetlands or the site for a huge concrete retaining wall to hold back the ever-rising tides. C’mon — it’s all but inevitable now. Deal?